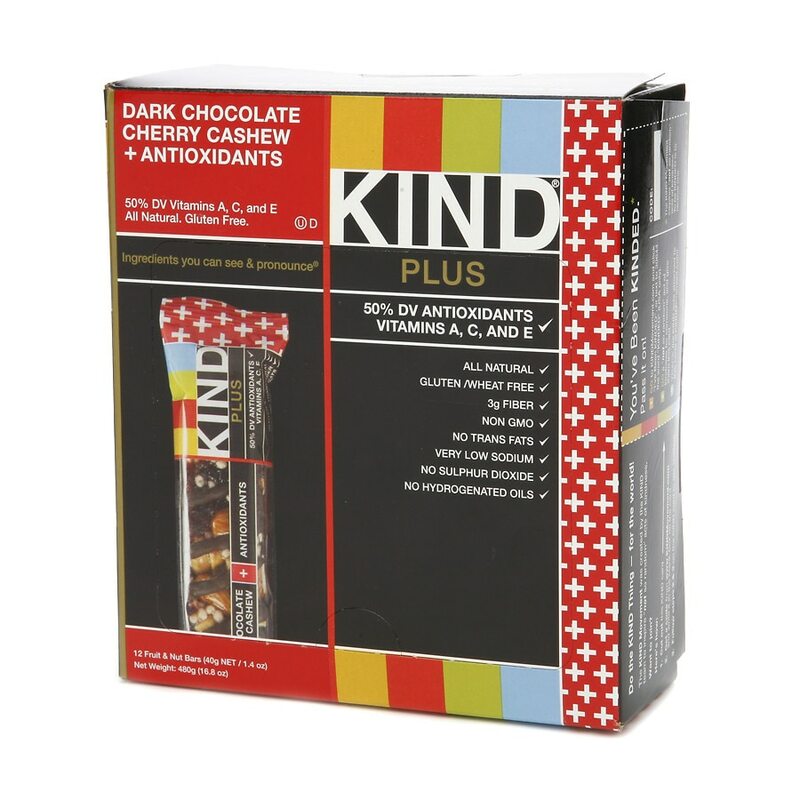 KIND® Dark Chocolate Cherry Cashew + Antioxidants Bar is a delicious blend of whole almonds, cashews, and peanuts mixed with naturally sweet dried fruit and drizzled in chocolate. Naturally rich in vitamins and antioxidants and made from only ingredients you can see and pronounce, this snack is both good and good-for-you. Whether you're at the gym, at the office, or on-the-go, you can do the KIND thing for your body and your taste buds™. Allergen information: Contains peanuts, tree nuts and dairy. May contain pits or nut shell fragments. Nice! 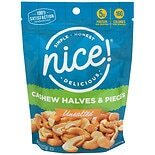 Cashew Halves & Pieces ...8 oz. Nice! 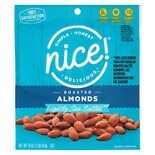 Almonds Roasted Lightly...16 oz. 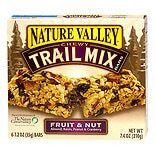 Nature Valley Chewy Trail Mix...1.23 oz.